Hi! 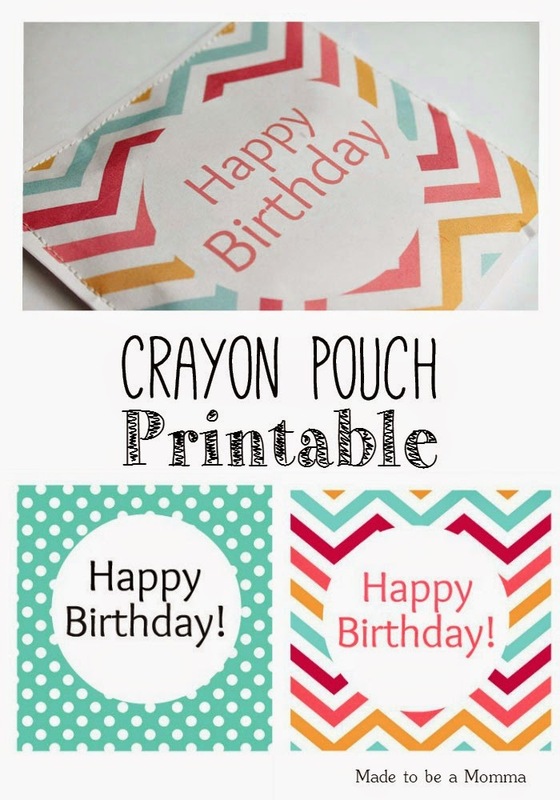 It’s Katie from Made to be a Momma here again to share a fun project that the kids will love! 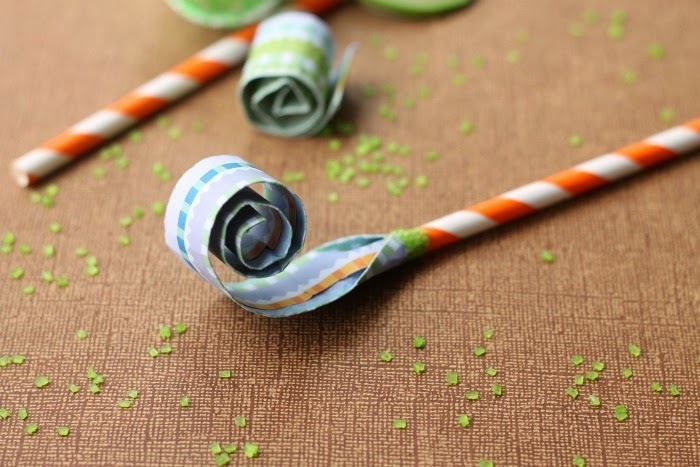 Paper Straw Blowers! 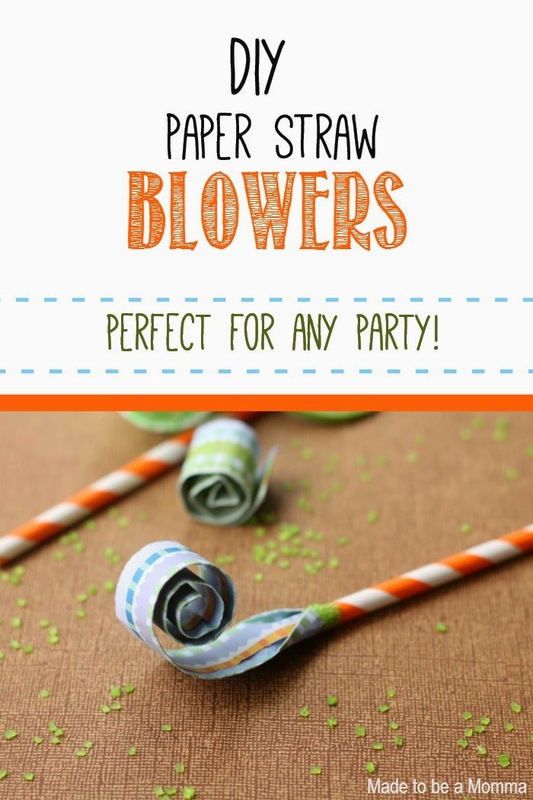 These paper blowers are the perfect addition to any family gathering, birthday party or holiday! 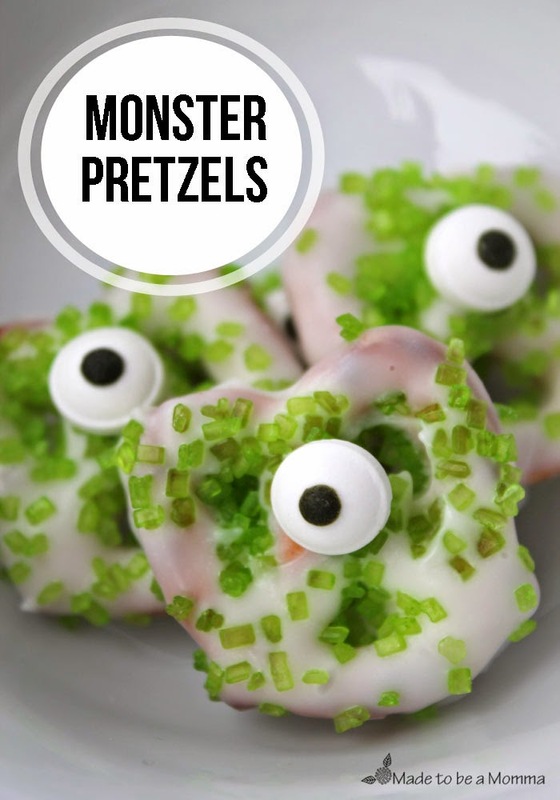 They would be really fun to make for the fourth of July that’s coming so quickly! 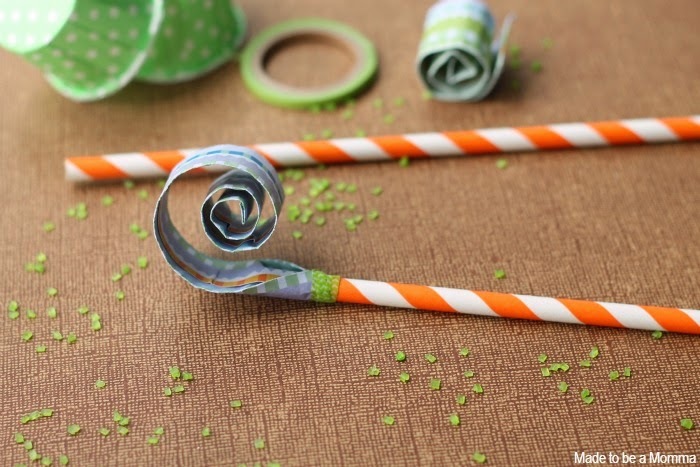 All you need is some straws, scrapbooking paper, tape or glue. These blowers come together really quickly and are easy enough for some of the older kids to put together. 1. Cut a 3 in. x 10 in. rectangular piece of scrapbooking paper. 2. Fold your edges in to the middle and secure with either tape or glue. Fold in one top edge of your paper. Allow to dry. 3. Beginning with the fold edge, roll your rectangular piece and secure with a rubber band for a few hours. 4. Insert your straw into the open end of your rectangular piece. 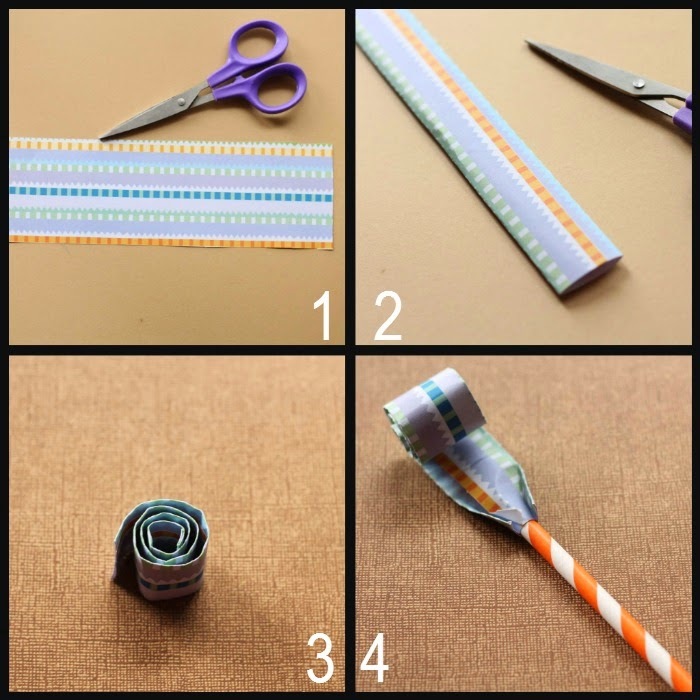 Wrap around straw and close by wrapping a piece of washi tape around the straw. I would love to have you come on by Made to be a Momma to see some of the latest projects I have been working on!